You get another freebie today because it’s Freebie Friday! 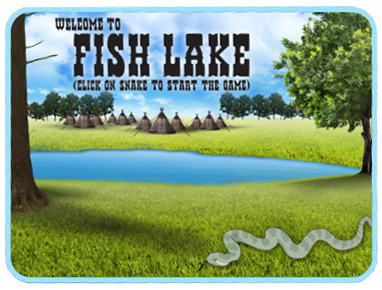 Today’s freebie is related to our game Fish Lake and is a link we link. The link is to a fraction math game called “Fraction Splat”. Like our game Fish Lake, this game deals with different types of fractions such as fractions that are greater than or equal to 1. Play “Fraction Splat” by clicking on the link below. We always provide resources, like the one above as well as others, on our Teacher Resources page. We like to provide resources such as activities, charts, clip art, historical photos, and videos in order to supplement the content in our game. You can use these resources in your classroom, at home, on your educational website or any other educational need.